LASHBURN, Saskatchewan — Tim Lipsett of Lumsden, SK forty-percent-ed the 13th annual Brad Phipps Memorial PBR on Friday night in Lashburn. This year, it was Lipsett’s time to shine and put on his first PBR Canada event champion buckle of 2016. In round one it was a score of 85.5 on a bull called Big Rig from the Skori’s for Lipsett. Match that up with the 89 this time on the Minion and Tim was out in front of second-place finisher Stetson Lawrence of Williston, ND by a full six point advantage. Fellow North Dakotan Nathan Schaper, currently 33rd in the world has already made a few trips to Canada this year. He’s 16th in our Canadian standings after a third place finish in Lashburn thanks to an 81.5 on Finning Rat Trap from the Flying Four crew and an 86 on Snap Trapper from the Wild Hoggs in the finals. Rounding out the top five were PBR Canada’s number four man, Cody Coverchuk and Montana’s Dakota Louis respectively. Aggregate, Total money and points won: 1. Tim Lipsett – Lumsden, SK – 174.5 points on two bulls, $3,852.50, 60; 2. Stetson Lawrence – Williston, ND – 168.5, $2,491.56, 30; 3. Nathan Schaper – Grassy Butte, ND – 167.5, $1,668.13, 20; 4. Cody Coverchuk – Meadow Lake, SK – 83.5 points on one bull, $1,243.13, 15; 5. Dakota Louis – Browning, MT – 83, $706.56, 10; 6. (tie) Wyatt Laughlin – Pincher Creek, AB and Devon Mezei – Carstairs, AB – 82, $281.56 each, 2.5 points each. NORTH BATTLEFORD, Saskatchewan — A pair of two-time Canadian Pro Rodeo Champions split the win at the third annual Gold Eagle Casino PBR Classic presented by McDonald’s on a hot Thursday night at the North Battleford Civic Centre. In this matchup, the advantage goes the the veteran, Scott Schiffner with his 2006 PBR Canada Championship, two big checks at the Calgary Stampede and multiple other titles from his illustrious career. Dakota Buttar however is the two-time and reigning champ of Canadian Pro Rodeo and in North Battleford, the two split the win. Buttar’s path to the victory was thanks to an 85.5 on Shot of Whiskey from Two Bit Bucking Bulls in the first round followed up by an 84.5 on another Two Bit bull, this one Blue By U in the finals. Schiffner put up an 82 in the first round and showed off his stuff with a big 88 in the finals on the Minion Stuart from Skori Bucking Bulls. Dakota earned a few bucks more due to his win in the first round topping his check at over $3,700. To this point he’s second in Canada only to Ty Pozzobon who dislocated his shoulder being bucked off Snake Eyes from Battle River Rodeo in the final round. Scott is back in the top 15 in the PBR Canada race while Buttar is inching ever closer to the PBR’s Built Ford Tough Series (BFTS). It shouldn’t be long now. Pozzobon helped keep himself in front of Buttar with a third place finish after an 83 point effort on Dozer in round one. He’s almost back on the BFTS too. Wacey Finkbeiner and Will Purcell rounded out the top five. The following are the official results from the Third Annual Gold Eagle Casino PBR Classic presented by McDonald’s on July 28th, 2016. Round one: 1. Dakota Buttar on Two Bit Bucking Bulls’ Shot of Whiskey, 85.5 points, $647.70; 2. Ty Pozzobon, 83.5, $485.78; 3. Wacey Finkbeiner, 83, $323.85; 4. Scott Schiffner, 82, $161.92; 5. Will Purcell, 81.5; 6. Wyatt Laughlin, 78.5; no other qualified rides. Finals: 1. Scott Schiffner on Skori Bucking Bulls’ 0819 Minion Stuart, 88 points, $647.70; 2. Dakota Buttar, 84.5, $485.78; no other qualified rides. Aggregate, total money and points earned: 1. (tie) Dakota Buttar – Kindersley, SK ($3,706.29) and Scott Schiffner – Strathmore, AB ($3,382.43) – 170 points on two bulls, 45 points each; 3. Ty Pozzobon – Merritt, BC – 83.5 points on one bull, $1,682.23, 20; 4. Wacey Finkbeiner – Ponoka, AB – $1,142.47, 15; 5. Will Purcell – Merjing, VIC – 81.5, $516.36, 10; 6. Wyatt Laughlin – Pincher Creek, AB – 78.5, $366.23, 5. Next up on the 2016 PBR Canada Schedule is the Brad Phipps Memorial PBR in Lashburn, SK on August 5th. PBR (Professional Bull Riders) which has events in six countries and is available in 500 million homes globally, has competed in Canada since 1996. The PBR Monster Energy Canada Series will debut in August 2016 as the country’s first fully televised national professional bull riding series. 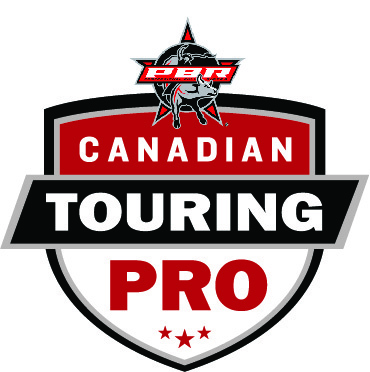 Points earned at the Tour’s 16 Canadian events count towards qualification to the elite PBR Canadian Finals. Upon the conclusion of the Finals, the bull rider with the most regular season and Finals points is crowned the PBR Canada Champion. Points won at all Canadian events count toward qualifying on the prestigious PBR Built Ford Tough Series (BFTS) and PBR World Finals in Las Vegas, NV. For more information on PBR Canada, go to www.pbrcanada.com, or follow on Facebook at www.facebook.com/pbrcanada and Twitter at http://twitter.com/PBRCanada.